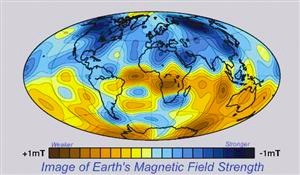 But what was not noticed when the Holy Spirit first came to earth, and what was hugely noticed when He departed the earth at the Rapture, was the catastrophic disruption of earth’s electro-magnetic field. Scientists had warned for years about the possibility of a large solar flare knocking out electricity around the world. Numbing the world, the Rapture affected every corner of every country. In an instant, people vanished into thin air without a trace—political leaders, businessmen, rich and poor, workers and unemployed. Everyone knew someone who was missing. Men and women, husbands and/or wives, parents and/or children were simply gone, leaving zero trace of their existence. In the U.S. about one out of every twenty five people disappeared in the blink of the eye. With communication down, everyone was left to personally ponder what had just happened . . . as well as pondering their own future fate. Millions of people had heard about Jesus, and even the Rapture, but never truly trusted the shed blood of Jesus to pay for their sins. Millions more had thought they were Christians . . . they had prayed a prayer or walked an aisle . . . and they knew immediately what had happened. They had missed the Rapture! As daylight broke in America, many began a frantic search in their Bibles to see what was next to happen according to Bible prophecy. Western nations welcomed the new, efficient oil supply from the western edge of Middle East. Being able to load oil on ships from Haifa avoided the shipping problems that had become all too commonplace in the dangerous waters off the eastern Arabian peninsula.